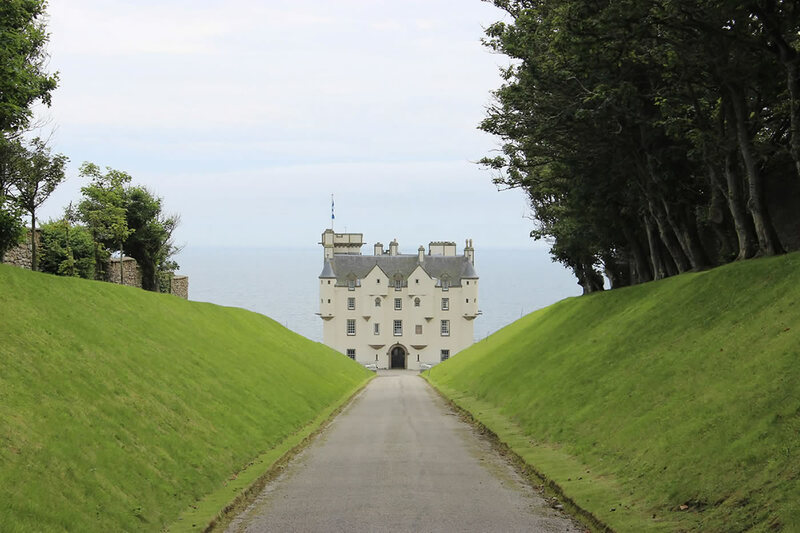 Dunbeath Castle is in the far north east coast of Scotland overlooking the Moray Firth. Dunbeath is around 2 hrs drive (83 miles) from Inverness and 1 Hr drive to John O'Groats. The castle is privately owned and not open to the public. The gardens can be visited during the annual garden open day which is usually in August, or by arrangement through the estate office. The estate has a number of holiday cottages available and the castle and gardens can also be booked for weddings. 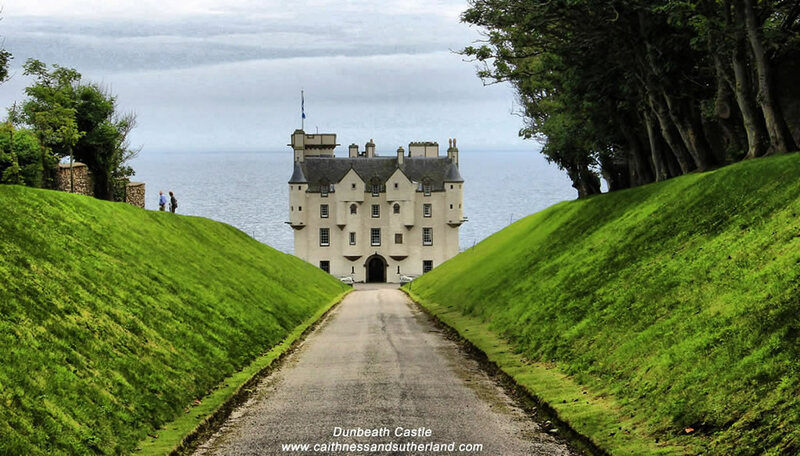 Please visit the Dunbeath Castle estate website for contact details and other information. Hedging and trellises are used to create garden rooms that are planted out to create private spaces within the walled garden. 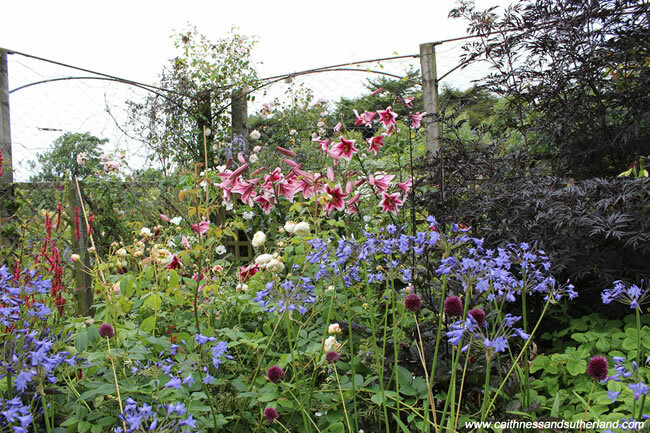 The planted beds provide colour throughout the year and especially in spring and summer months. The glasshouse at the castle has a number of different sections growing a range of tender and semi-tender plants. The traditional walled garden greenhouse has a wide range of flowering plants as well as tomatoes, trellised fruit trees and vines grown against the wall. Dunbeath Castle has two distinct gardens which are relatively new garden designs. Both gardens are outstanding and well worth visiting. One of the gardens at Dunbeath Castle is made up of garden "rooms" and avenues creating a feeling of space and interest as you explore. The garden is within a walled area providing some protection from the windy conditions often experienced in the far north of Scotland. 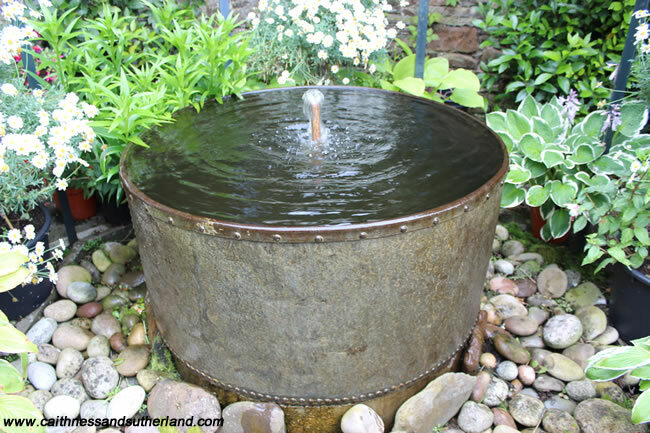 Throughout the gardens you will find a number of water features, from a simple metal bucket with a small fountain, to ponds and other water attractions showing off modern landscape architecture design. The water features enhance the garden through the sound from the fountains, reflection and movement from the water. Sympathetic planting help soften the hard landscape design features used to create the water features. 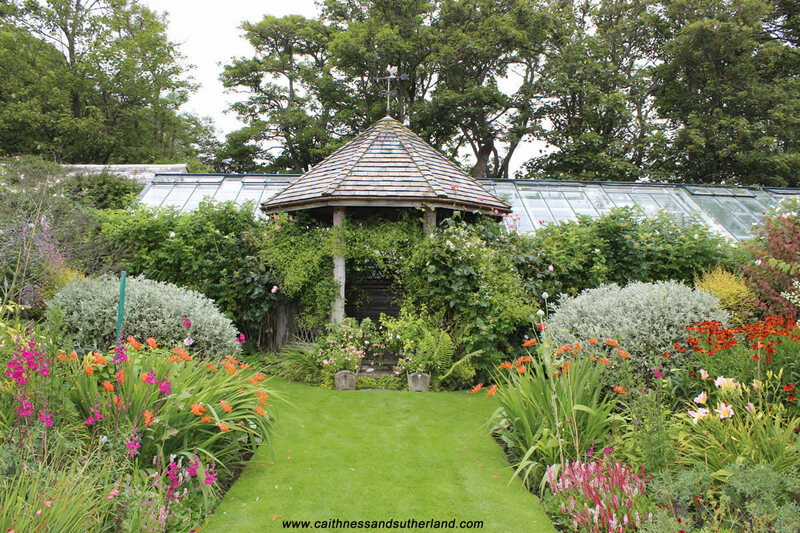 The gardens at Dunbeath Castle are in our opinion one of the best in the north of Scotland. Lilies and other ornamental plants are to be found in this protected walled garden. Roses are an important flowering shrub in the castle gardens, usually as part of mixed planting. The rose garden in the castle garden. The more formal garden has long grass paths with herbaceous borders along with spaces created by tall hedging, each with different planting themes. The scenic views down the grass avenues highlight entrances, pergolas, water features, sculptures, adding interest and variety to the garden design. 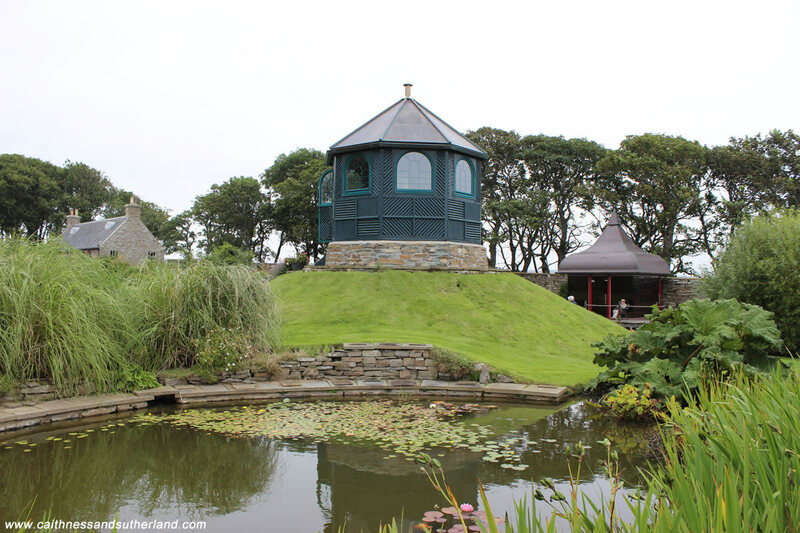 In the second garden at Dunbeath Castle there is a more informal design with sun rooms, ponds and water features with an architectural design including this oriental Japanese style pond and glass covered pagoda with wooden decking. A series of stone water features run down to meet the restored laundry building. The water bubbles out the fountains in each of the three stone ponds into a gently flowing stream paved with pebbles and stone paving. The sundial is cleverly made with stone and slates providing a central feature to one of the garden rooms. Photographs unless stated were taken by the web developer. All photographs are his copyright - any use of pictures from this website should be done under a Creative Commons 3 licence with a clear website link back to http://www.caithnessandsutherland.com - thank you.